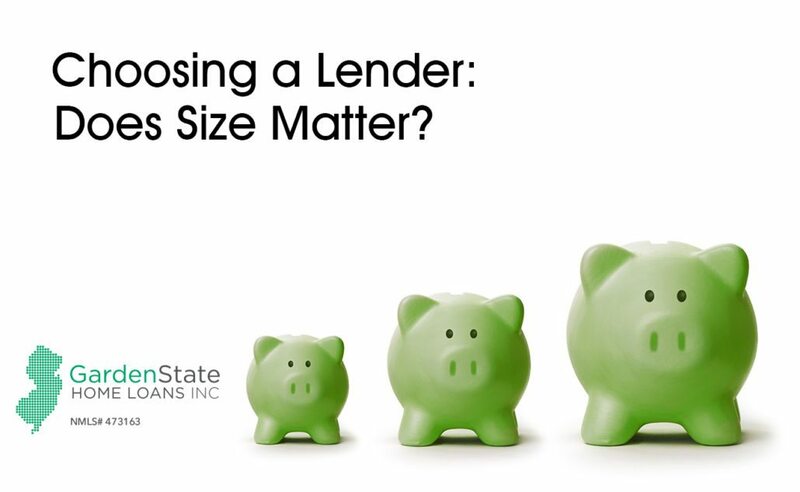 Choosing a Lender: Does Size Matter? What do big banks offer? Wells Fargo, Bank of America, Citibank… these are only some of the major banks that come to mind when looking for a lender. One advantage right off the bat is name recognition. These banks are likely to have robust public images, which may help you craft a well-informed opinion about whether or not to work with them, while also signaling to realtors or other parties that you are a serious homebuyer. Working with an established, national brand might also mean greater financial stability and less risk to you. Big banks will also have larger assets to support themselves with in the event of an economic downturn. In terms of security, although big banks are more likely to be targeted by hackers and such, they are also more likely to have strong cybersecurity capabilities. Because of their larger pool of assets and greater access to resources, these banks may calm any anxieties you have about seeking property financing. By nature of their size, these banks may struggle with bureaucratic issues and discrepancies between what management wants and what actually happens. As such, customer service, though touted by just about every company as the centerpiece of its mission, is difficult to ensure. A hiccup in customer service at your local branch may take too long to be resolved (if resolved at all) if it has to be addressed by higher-level management. Big banks also have thousands of customers, so your individual complaint (and the possibility of losing your service) may not matter to them that much. What do smaller companies provide? Because they are small, these companies are dedicated to a certain customer base, usually based around geography. As such, a small lender needs your business to stay afloat. They are much more likely to care about customer service obsessively, than a bigger bank. Smaller lenders will work to guarantee that you have a positive experience with them through meeting all of your needs and then some. Because they work with you each step of the way, smaller lenders focus on getting to know you and fostering a relationship. Typically, they will be very responsive to any questions you have, will provide better interest rates than their larger competitors, and will be very flexible to accommodate your needs. With a smaller lender, your mortgage experience will be your mortgage experience, with increased personalization and specialization to best suit your financial situation. Smaller lenders will often work with you and complete your mortgage application process faster, too, as they have fewer and more-focused employees than a larger bank would have. Smaller banks will probably have smaller assets, and so they might not be able to lend out as much as a larger bank. Without a large pool of assets and financial resources, these lenders may be more vulnerable to big changes in the economy or cybersecurity threats (though as smaller institutions they are less likely to be targeted). Additionally, smaller lenders typically limit themselves to doing business within select geographic areas, and so you may not be able to work with them if you fall outside of their jurisdiction. A third option is to use one of the many online platforms available nowadays to facilitate lending. Lending Club, SoFi, and Patch of Land are only a few of the platforms available for this service. Although easy to use, these platforms may be the least secure when it comes to seeking financing. Some of them, like Lending club, insure a portion of the loan and use other practices to reduce risk, but the prospect of lending or borrowing without a bank overseeing the process is uneasy for some. In short, there are many ways to get a mortgage and many types of lenders you can work with. If you value customer service and want a positive, stress-free mortgage experience, go with a smaller lender. They’ll be able (and willing!) to tailor the process to your specific financial situation and help you with any problems along the way.